The paintings I’ve chosen this month are of birds. In each case the artist has carefully chosen their medium to convey something about the character of their subject, Sandra using strong brushstrokes and bold colour, while Paulette uses the expressive qualities of charcoal to suggest movement. Here they explain how they set about capturing their subjects. 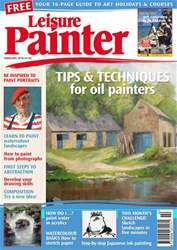 If you would like to see more of their work, post a comment or upload your own images to our online gallery, visit www.painters-online.co.uk. This is a free service.